With life expectancy today increasing, decisions regarding retirement are becoming more and more important. The over-all life expectancy is now just shy of 78 years, but those who are already 65 can expect on average to live to about 84 and those who are already 75 can expect to live on average to 87. This means that someone nearing the traditional retirement age of 65 needs to be prepared for a retirement of 20-25 years. How much income do you need to live comfortably in your retirement? 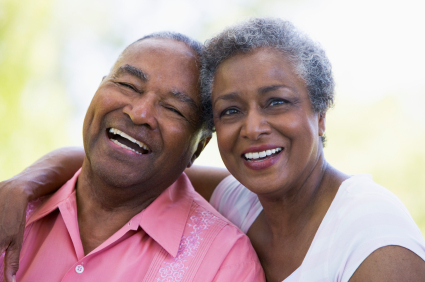 Is Social Security something you can count on to supplement your retirement income? How safe are your retirement investments? What happens if you outlive your money? Fortunately, there are plenty of retirement savings calculators and other resources available to help answer these questions. If you are just starting to plan for retirement, the questions you may be focused on have to do with investment choices and how much to invest. Depending on your employment situation, you may be able to participate in a 401(k), 403(b) or various IRAs. 401(k) s have been around for some time now, and are offered by employers in lieu of a traditional pension plan. Employees are able to contribute a certain portion of their income pre-tax into their 401(k). Not only is there a benefit to making these contributions pre-tax, but many employers also offer some type of matching contribution into these accounts. The limit on 401(k) contributions for 2010 is $16,500 if you are 49 or younger or $22,000 if you are 50 or older. 403(b) plans have the same contribution limits for 2010. These plans also allow employees to make pre-tax contributions into their retirement plans. 403(b) s are available for public school employees, employees of tax-exempt organizations, and ministers. There is no matching component for these plans. There are a variety of options available in the IRA category…Roth, traditional, SIMPLE IRAs and SEP IRAs. Each of these comes with its own rules and guidelines, eligibility requirements and contribution limits. While not everyone has access to plans like 401(k) s or 403(b) s, anyone under the age of 70 ½ with earned income or married to someone with earned income is eligible to contribute to a Traditional IRA. Despite this fact, it is estimated that only about 10% of eligible taxpayers contribute to IRAs. A good starting point in sorting out these options may be a retirement savings calculator. These calculators can help you understand these investment choices, their rules and limits, and determine which may be best for you. For those who are nearing retirement, there are other questions you may be considering. Your questions may focus more on how much you are contributing and if it is enough to provide the income you anticipate needing in your retirement years. You may also be wondering about the safety of your retirement funds and how they are allocated. Do you have the right mix of stocks, mutual funds, and bonds to continue to provide adequate growth yet remain safe? When you were younger, you had the advantage of time. If your investments dropped in value due to a blip in the stock market, you still had plenty of time for your investments to recover before you would need to begin making withdrawals. Not so as you near retirement. The general rule is that the closer you get to retirement, the more conservative you want your investments to be. As you approach retirement, you may also be considering how long your money will have to last. What is your life expectancy? Obviously, nobody ever really knows the answer to this question, but there are retirement savings calculators online that can link you to websites that use the latest medical research to give you the best, medically-based estimate as to how long you can expect to live. Answers to a series of questions about your medical history, family history, diet, exercise habits, and BMI are used to determine the best estimate on your life expectancy. Once you have already retired, you may still have some of the same retirement questions and concerns that you had prior to retiring, but you may also have some new concerns as well. Estate planning and wills, if not addressed before, may be something you need to consider. You may also need to make adjustments to your withdrawal schedule for your retirement accounts based on market conditions. Someone who retired five-or-ten years ago, for example, may have gone into retirement anticipating withdrawals of 6% per year based on their retirement funds growing at 8-10% per year. When the markets struggled over the last few years, those projections would no longer be accurate. Many retirement savings calculators allow you to adjust the inputs for factors such as inflation rate and yield to account for changes like this in market conditions. If you are fortunate enough to not need to begin tapping into some of your retirement accounts immediately, there is another factor you need to be aware of. You must begin withdrawing money from accounts like 401(k)s, 403(b)s and IRAs by April 1 of the year following which you turn 70 ½. There are retirement savings calculators available to help you calculate what your minimum distribution should be. This amount varies based on your age and the value of your account. The questions facing you regarding retirement are many, and they vary depending on your situation. It is wise to start early and have a solid plan regarding retirement, but keep in mind that situations change constantly…and often, quickly. Be sure to periodically reassess what you anticipate your needs to be and the effectiveness of your current plan.